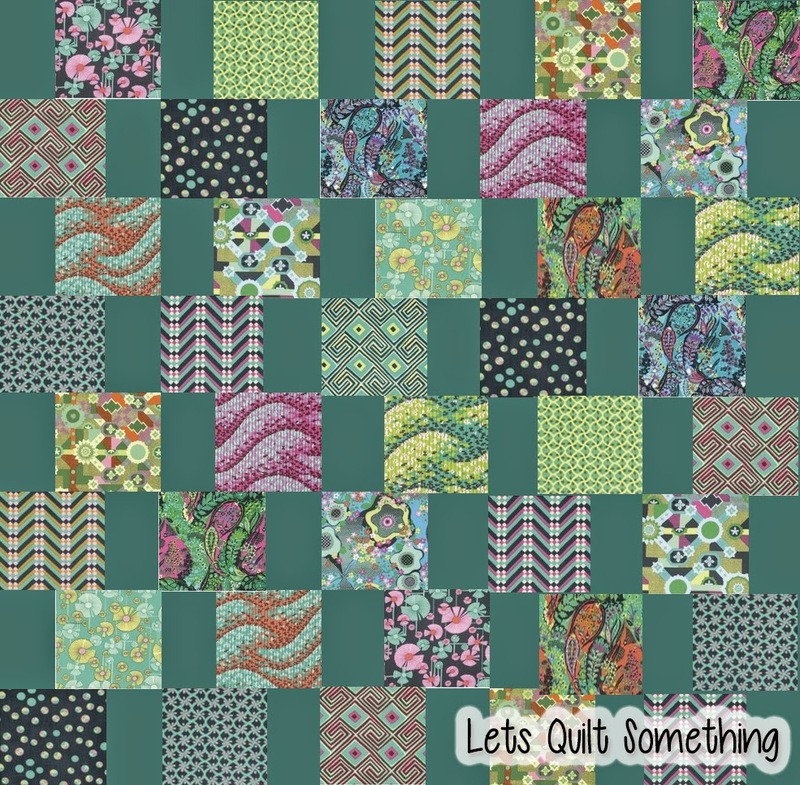 Super Fast quilt that you can for sure finish in a day. Finished Size is about 72.75" x 78.25"
1. Using your Kona Ultramarie fabric you are going to start cutting 10" x WOF strips in which you will then sub into 10" squares. You should get 4 squares per strip. 2. Once you have your 10" squares from your Kona Solids you are going to cut them into a 5" x 10" rectangle. 3. Last starting from the top row you are going to do solid, glow, solid, glow, solid, glow, solid, glow, solid, glow. Then the next row you are going to start with glow, solid, glow, solid, etc, etc.